Eating dessert and sweet treats are often one of the first things to go if your diet becomes restricted. It's free from refined sugars, delicious and doesn’t leave you with the guilt of a normal pudding. I love serving this to chocoholic, dessert aficionados and dropping in that it’s actually made from avocados as they're devouring it! It’s simple to make and you can whip it up in minutes. It's gluten free too if you use gluten-free oatcakes. 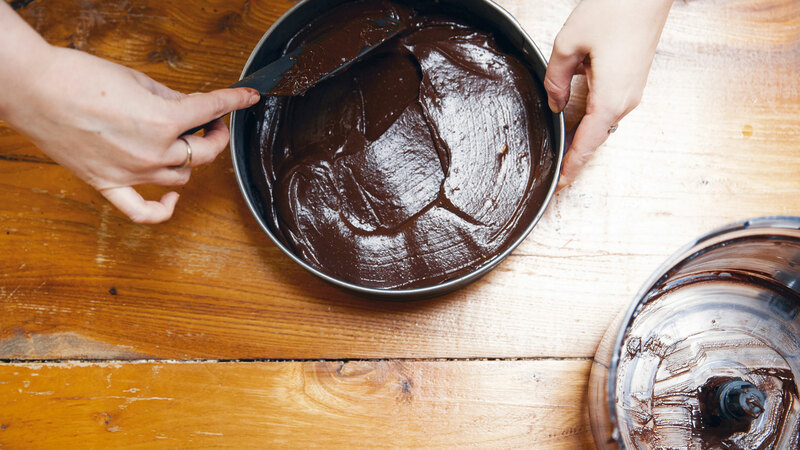 Slowly melt the chocolate in a bowl above boiling water on a low heat. 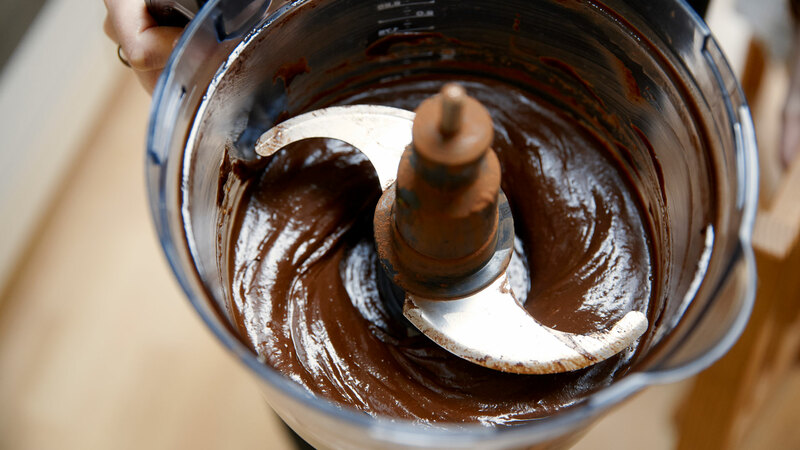 Mix all the ingredients for the base in a food processor until they are crumbly but they stick together. Press them down in an 8 inch / 20 cm springform cake tin. Put it in the freezer while you make the filling. You can make the base in advance. 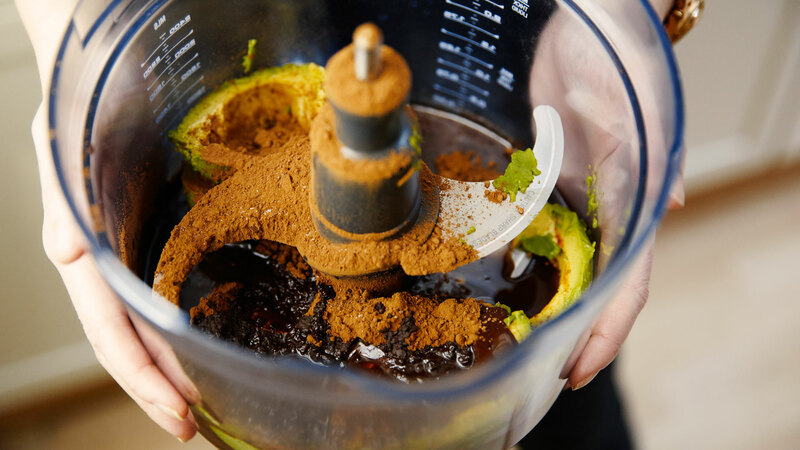 Put all of the ingredients for the topping in a high-speed blender in the order of the ingredients list above. Blend until smooth. You may need to stop, stir and scrape down the sides. If it tastes too savoury at this point, add more maple syrup. 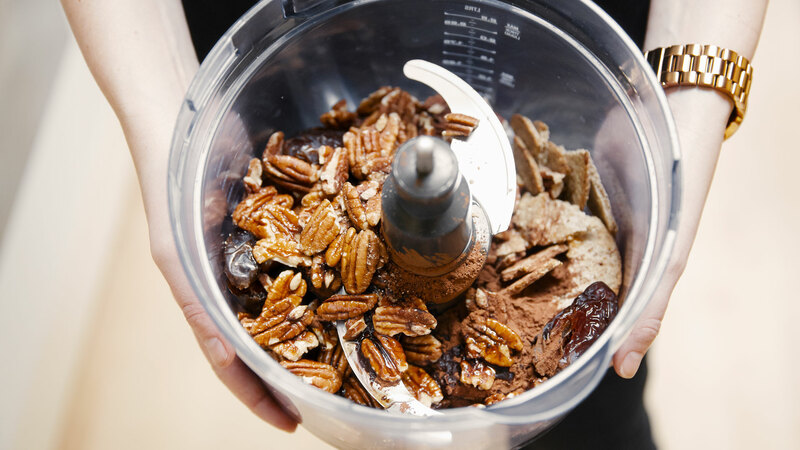 Take the pecan base out of the freezer and pour the topping mixture onto the base and smooth out the top. Place the tart in the fridge and allow it to set (minimum of 2 hours). Before serving, grate some dark chocolate and roughly chop a few pecans to sprinkle over the tart.